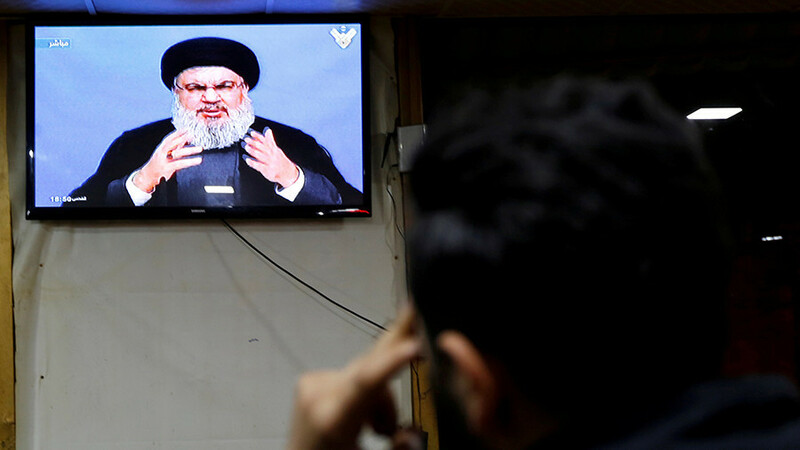 Lebanese Hezbollah has backed calls by the Palestinian armed group Hamas to launch a new uprising against Israel in response to the US recognizing Jerusalem as the capital of the Jewish state, Hassan Nasrallah, the Hezbollah leader, said in a televised address. “The most important response would be a Palestinian uprising and an Islamic summit that would declare Jerusalem as the eternal capital of Palestine,” Nasrallah said, as quoted by Lebanon’s Naharnet TV. “We support the call for a new Palestinian intifada [uprising] and escalating the resistance which is the biggest, most important and gravest response to the American decision,” he added. Nasrallah also called for unity and support for the resistance among Muslims in the face of Wednesday’s announcement by President Donald Trump. Earlier Thursday, Hamas leader Ismail Haniyeh said “we should call for, and we should work on launching an intifada in the face of the Zionist enemy” in response to the US move. Trump’s unilateral decision on recognizing the contested city of Jerusalem as Israel’s capital was taken despite the Palestinians viewing the eastern part of the city as the future capital of their sovereign state. Nasrallah pointed out that Washington disregarded the Palestinians “although it is the guarantor of the agreements” between Israel and the Palestinians. Trump, by his announcement, told Israel that Jerusalem “is for you, and it is under your sovereignty,” Hezbollah’s leader said. Israel regards Iran-backed Hezbollah as a terrorist organization, blaming the group for firing rockets into Israeli territory as well as other provocations. Tel-Aviv has waged two wars against Hezbollah, with the latest conflict in 2006 leaving over a thousand civilians dead in Lebanon during a month of fighting. Hezbollah convoys inside Syria have also been a frequent targets of airstrikes by Israeli warplanes in recent years. “The support of Hezbollah is a quite an important and a meaningful factor” for the Palestinians, Vyacheslav Matuzov, Society for Friendship and Business Cooperation with Arab Countries, told RT. However, he said it would require the Palestinian Authority to encourage an intifada and for the people to “go out into the streets.” Matuzov said he’s unsure if Mahmoud Abbas is eager to support calls of an uprising as voiced by Hamas and Hezbollah. “For now, it’s a diplomatic rivalry,” the former emissary said, referring to the Palestinian president’s consultations with foreign leaders on the issue of US recognition of Jerusalem as the capital of Israel.